Michael McKenna has been a partner in Margolis Edelstein since 1983 and has served as the firm’s Managing Partner since 1995. Before joining Margolis Edelstein in 1982, Michael was Assistant General Counsel for the Pennsylvania Manufacturers’ Association Insurance Company. 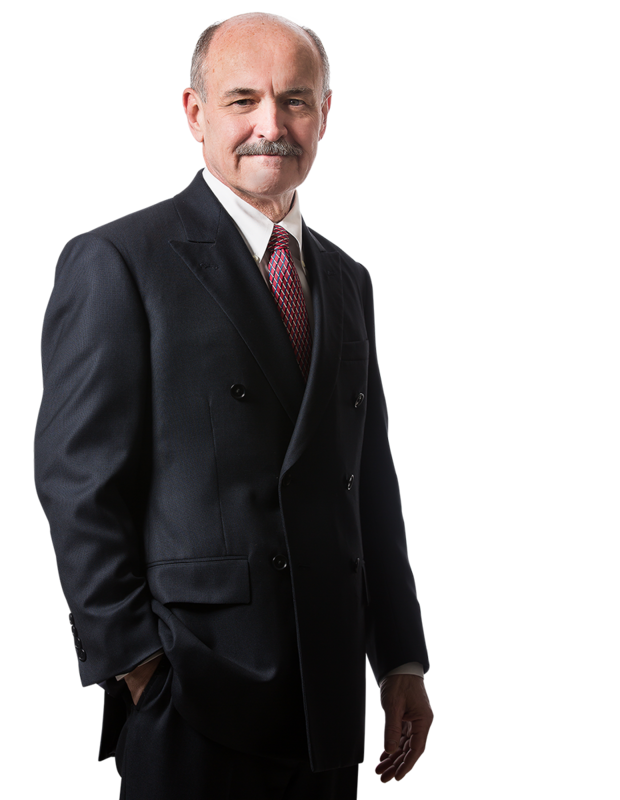 He handles files, publishes, and speaks on a broad array of insurance and tort topics. As Managing Partner, Michael oversees all operations in a firm which has grown during his tenure from two to nine offices. Michael has tried hundreds of jury, non-jury, and UM/UIM arbitration trials with subject matter ranging from auto to premises to fire to products to insurance coverage. He has appeared pro hac vice in Delaware, Kentucky, Maryland, New Jersey, New York, and Puerto Rico. He has also defended or prosecuted appeals before the Pennsylvania Commonwealth Court, Superior Court, and Supreme Court and before the Third Circuit Court of Appeals. In addition to frequent speaking engagements before insurance industry groups, Michael also publishes, annotates, and updates the Pennsylvania Motor Vehicle Financial Responsibility Law Booklet, a comprehensive guide to auto law in the Commonwealth. Represented the plaintiff insurer in Penn National v. St. John, establishing that “first manifestation” trigger for CGL coverage against property damage claims applies even when exposure, manifestation of harm, and discovery of cause extend over multiple policy periods, thus rejecting extension of the J.H. France asbestosis multiple or continuous trigger of coverage. The favorable Chester County trial result was upheld in the Superior Court and thereafter in the Supreme Court. Represented the plaintiff insurer in Nationwide v. Tambone, establishing the validity and applicability of its personal auto policy livery exclusion where the named insured’s son, living elsewhere, occasionally used the covered auto to transport casual acquaintances for pocket money. The favorable Chester County trial result was upheld in the Superior Court, the Supreme Court thereafter denying a Petition for Allowance of Appeal. Represented prime defendant The Sheraton Corporation, the original owner and designer of the subject hotel, in the San Juan Dupont Plaza Fire Litigation in Puerto Rico, described by the Second Circuit Court of Appeals as a “litigatory monster” involving 264 separate lawsuits with 2,400 plaintiffs seeking total damages of over $1,800,000,000 for 98 deaths and over 140 severe burn injuries. Represented prime defendant Halprin Supply in the One Meridian Plaza Fire Litigation in Philadelphia against claims by the building owners, the owners of surrounding damaged buildings and businesses, and the estates of three firefighters killed in a blaze which destroyed this 38 story high-rise office building. Represented prime defendant Trident Mechanical Systems in the Central Synagogue Fire Litigation in Federal Court in Manhattan against claims of extensive damage to this historically certified building, the oldest extant synagogue in the United States, obtaining a defense verdict following a six week trial.